This was my senior design project at Georgia Tech. My team members were Chris Sidi, Bill Phillips, and Jimmy Espana. 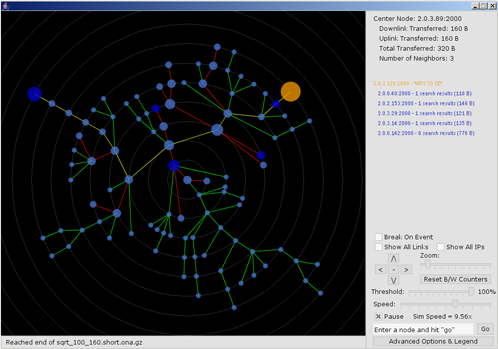 The goal was to graphically visualizing how an individual message gets routed through the network, which regions of the network are experiencing heavy or light traffic, and which regions of the network are generating heavy or light traffic. Our customer for this project was Dr. Brian Cooper.